The Octagon ends its two-week hiatus this Saturday with a freebie fight card on primetime television that features a title bout. However, the show isn’t garnering much hoopla. 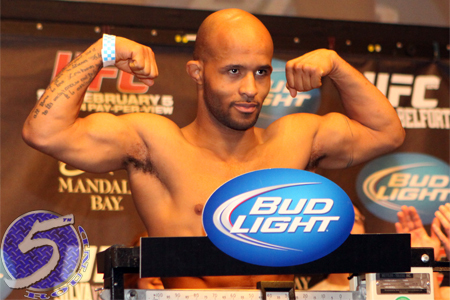 Flyweight champion Demetrious Johnson (pictured) defends his throne against John Moraga in the night’s featured attraction. The hour-long documentary follows the 125-pounders around as they prepare for this weekend’s shootout. KeyArena in Seattle, Washington hosts Saturday’s festivities.